Crittenden County High School is setting itself as the team to beat among high schools in western Kentucky chess, winning its second K-12 division title in as many tournaments in claiming the team title at the Murray Scholastic Tournament on Saturday. In fact, three teams from Crittenden County School won their divisions, bringing home the K-12, K-8 and K-3 titles. The Murray Scholastic was played at Murray Elementary School for the first time, a departure from hosting the tourney at Murray State University’s Curris Center. The top four teams in each division earned trophies, while the top 10 players won medallions. Ties were broken using established U.S. Chess Federation standards. Schools had to have at least two players to earn team points. The top four players’ points from each school went toward the school’s team points. The K-12 and K-8 divisions played four rounds each, while the K-5 and K-3 divisions each played five rounds. westernmost scholastic chess region in Kentucky, stretching from the Mississippi River to Bowling Green. Unlike the previous tournament – the Free USCF Membership Tournament held Oct. 14 in Paducah – Crittenden County took first place outright with 14 points out of a possible 16. The Pennyrile Area Christian Homeschool Educators of Kentucky (PACHEK) took second with 10 points, while newcomer Daviess County was third with eight points and Paducah Tilghman was fourth with seven points. Graves County was fifth at six points, while Hopkinsville sixth at three points. Other schools represented included Parents As Teachers in Christian Homes (PATCH), Daviess Homeschools and Loan Oak Intermediate School (LOIS). Individually, freshman Chase Stevens of Crittenden County won the individual title with a perfect four-point performance, winning in each round. Teammate Steven Swinford was second at four points, followed by Bryce Page of PACHEK in third at three points, Jacob Barlow of Daviess County in fourth at three points, Clay Stevens of Crittenden County in fifth at three points, Hannah Crisp of PACHEK in sixth at three points, Riley McConnell of PATCH in seventh at three points, Skyler James of Crittenden County in eighth at three points, Austin Yarbrough of Paducah Tilghman in ninth at three points and Ethan Poynter of Daviess County in 10th at two points. Crittenden County Middle School won the K-8 division title with 12 of a possible 16 points. Lone Oak Middle School was a close second at 11.5 points, South Christian Elementary School was third with seven points and Murray Middle was fourth at three points. Other schools taking part included PATCH and Paducah Middle School. Among individual players, Dennon Wilson of Crittenden County won the title with a perfect four points. Owen Cody of Lone Oak was second at 3.5 points, Elliott Russell of Crittenden County was third with three points, Trey Swaggirt of Crittenden County was fourth with three points, Cy Hines of Lone Oak was fifth at three points, Micah Prude of PATCH was sixth at three points, Manav Shah of Lone Oak was seventh at 2.5 points, Enoch Brindley of Lone Oak was eighth at 2.5 points, Miller Green of Lone Oak was ninth at 2.5 points and Evan McDowell of Crittenden County was 10th with two points. Murray Middle School won the K-5 division with 16.5 out of a possible 20 points. Lone Oak Intermediate School (LOIS) was second at 12.5 points, South Christian Elementary was third at 7.5 points, Calloway Homeschools was fourth at 7.5 points and Crittenden County Elementary was fifth at 4.5 points. Other schools taking part included Daviess Homeschools, PATCH, Klondike Academy, Murray Elementary and Clark Elementary of Paducah. Kenneth Roach of Calloway Homeschools won the K-5 individual title with a perfect five-point score. Ali Yarali of Murray Middle was second at 4.5 points, Landon Ulrich of Murray Middle was third with four points, Aiden Lovett of Murray Middle School was fourth with four points, Jackson Kimbro of Murray Middle was fifth at four points, C.J. Sullivan of LOIS was sixth at 3.5 points, Eyon Bounds of Dover (Ark.) Elementary was seventh at 3.5 points, Alex Sharp of Murray Middle was eighth at 3.5 points, Gabe Mindrup of Daviess Homeschool was ninth at three points and Abel Prude of PATCH was 10th at three points. In the K-3 division, Crittenden County Elementary took home the team title with 15.5 of a possible 20 points. Host Murray Elementary was second at 13.5 points, Hendron-Lone Oak Elementary was third at 9.5 points and Illinois-PATCH (PATCH students who live in Illinois) was fourth at four points. Other schools participating included PATCH, Klondike Academy and Lowes Elementary. Zak Smith of Crittenden County Elementary won his second individual title of the year, garnering a perfect five-point score on Saturday. Ezekiel Dossett of Hendron-Lone Oak was second with 4.5 points, Donte Bell of Crittenden County was third with four points, Kenzie Myers of Murray was fourth at 3.5 points, Boran Song of Murray was fifth at 3.5 points, Wyatt Russell of Crittenden County was sixth at 3.5 points, Ansh Shah of Hendron-Lone Oak was seventh at 3.5 points, Myles Barnett of Murray was eighth with 3.5 points, Dwinata Marjadi of Murray was ninth with three points, and Frank Civitella of Murray was 10th with three points. 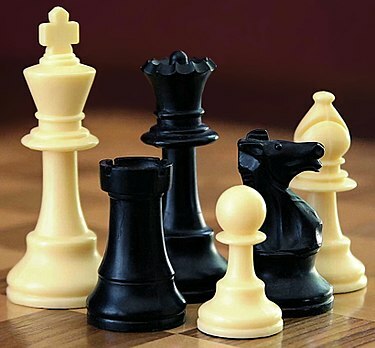 The next scheduled scholastic chess tournament will be the McCracken Scholastic Tournament, to be held Nov. 18 at the West Kentucky Community and Technical College in Paducah.